The miraculous Lapis Lazuli is a soft rock. It has survived thousands of years, so now we can admire its beauty. But without appropriate cleaning, storage and care lapis lazuli can lose its heavenly blue that is showing us the splendor of ancient civilizations. 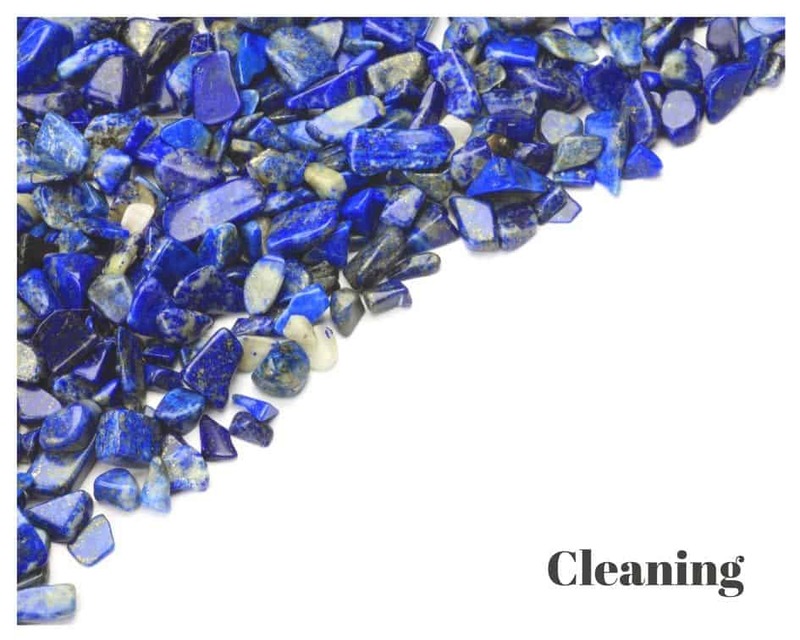 In Lapis Lazuli Care and Cleaning we will show you the best cleaning, wearing, storing and polishing tips. Follow these simple rules and your jewelry will be forever as new. In case you want to know how to take care of amber, check our amber care post. Lapis lazuli is an opaque stone with a vividly blue coloring. The stone also has a few golden specks, which makes it resemble a starry sky in late evening. Many mistake the golden specks to be gold, which it isn’t. They’re actually pyrite inclusions caused by the presence of iron. 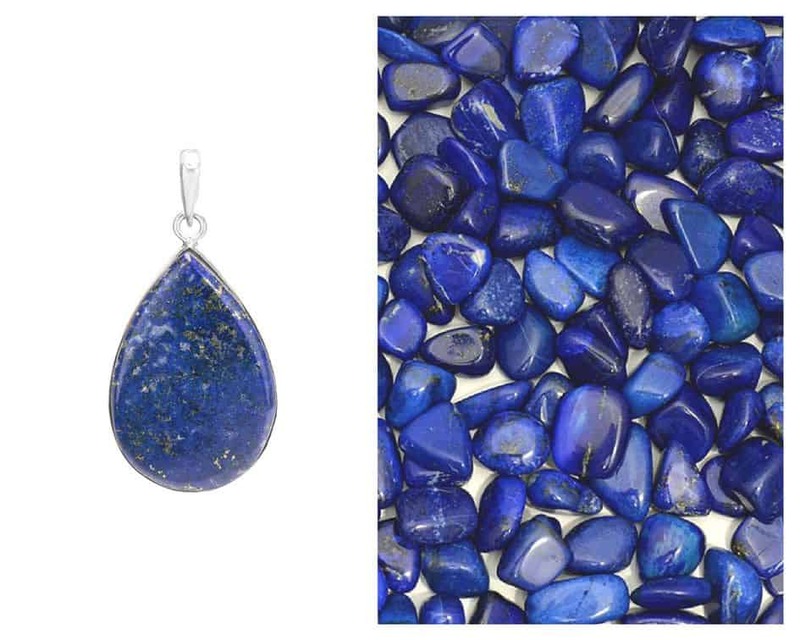 To learn more about lapis lazuli, check our Lapis Lazuli Origin post. The reason why you need to pay a special attention to jewelry with lapis lazuli is because of its nature. Although according to Mohs scale it reaches between 5 to 6 points (what is considered a Fair toughness), Lapis Lazuli is still a fairly soft gem. Moreover, Lapis lazuli is a porous rock, that’s why soaking it in water will ruin the gem. 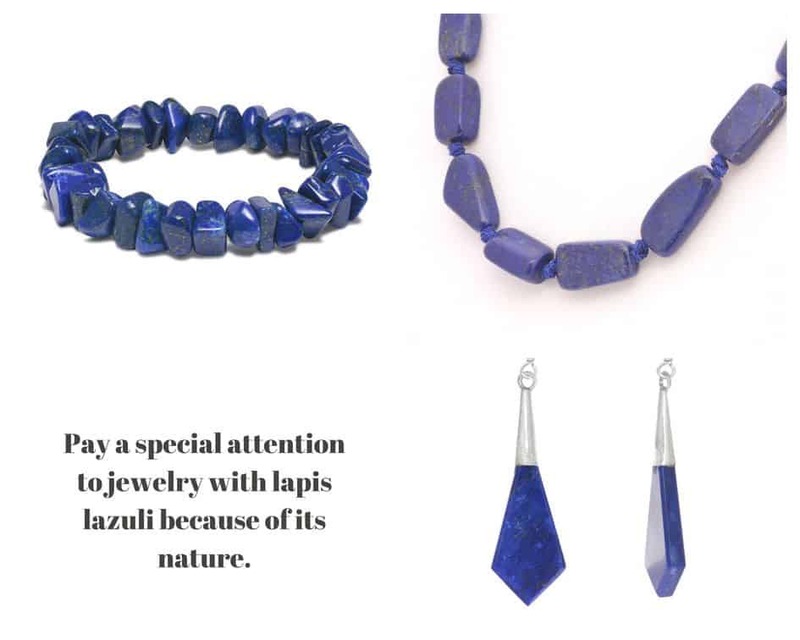 To learn more about Lapis Lazuli about lapis lazuli origin. If you are designing jewelry with lapis lazuli, avoid using them in rings or bracelets, as these pieces are more prone to damage caused by friction. Use these stones to make necklaces, pendants, earrings, and brooches, especially if intended for daily use. 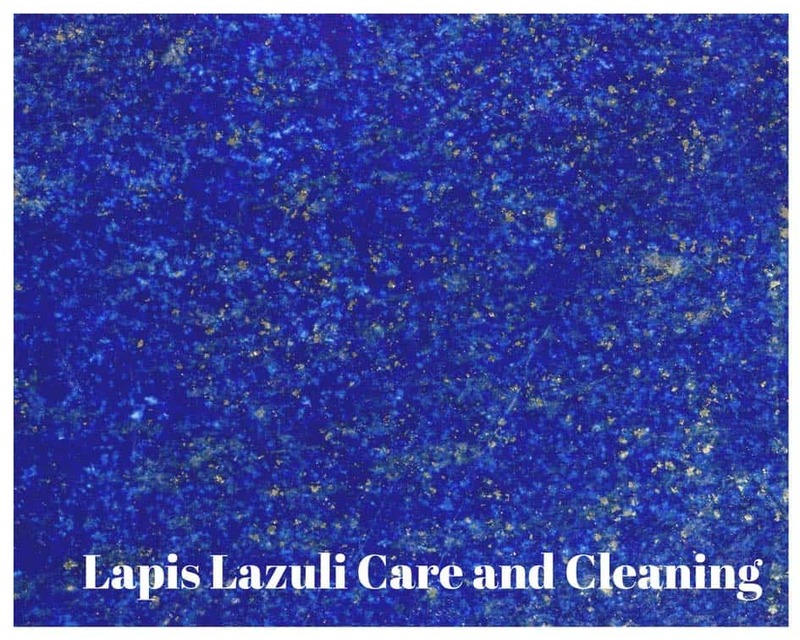 So, what are the main rules of lapis lazuli care and cleaning? 1 How to Take Care of Lapis Lazuli? 2 How To Clean Lapis Lazuli? 2.2 How to perform mild soap lapis lazuli cleaning? How to Take Care of Lapis Lazuli? 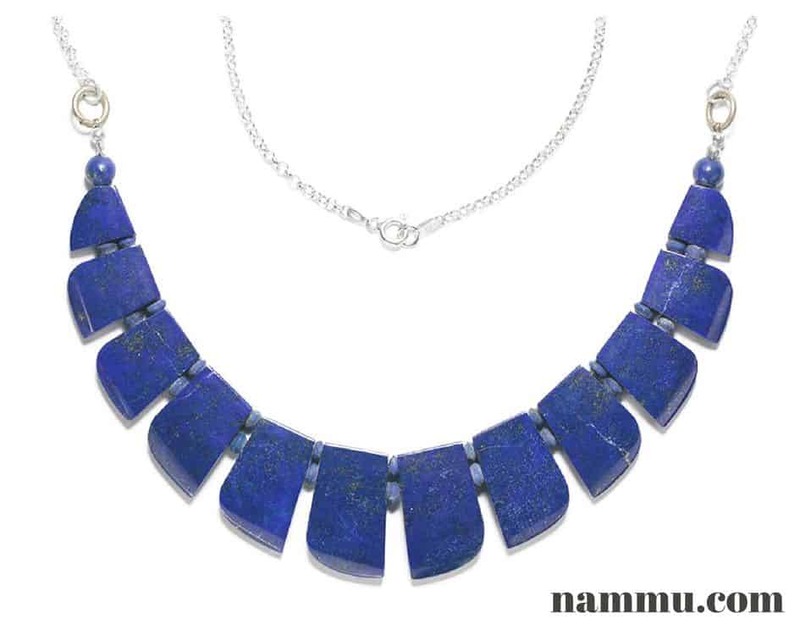 Lapis lazuli is a much-coveted gemstone among designers today, all thanks to it brilliant blue coloring. And let be honest, if you own a piece of jewelry with lapis lazuli, probably you’ve spent a fair amount of money, getting the stone, so you wouldn’t want to damage it any way. Here are some general recommendations on what you should and should not do with lapis lazuli jewelry. First of all remember that due to lapis lazuli being a soft stone, it should always be protected from rubbing and scratching against harder stones. So, it is of utmost importance that you store it properly. It should be stored in a soft cloth or cloth jewelry bag to prevent it from getting scratched or damaged by faceted gemstones like amethysts, tanzanite or zultanite. You do not necessarily need separate jewelry box for each of your Lapis Lazuli pieces. You could wrap them individually using soft acid free paper. Placing them in small zip lock bags not only helps them from getting damaged, but also protects it from oxidants. However, the best option for storage of lapis lazuli is to wrap it in a cloth or velvet and place it inside a jewelry box – designed to accommodate any temperature. Doing so will protect the stones from friction, scratching, and other means of wear and tear. 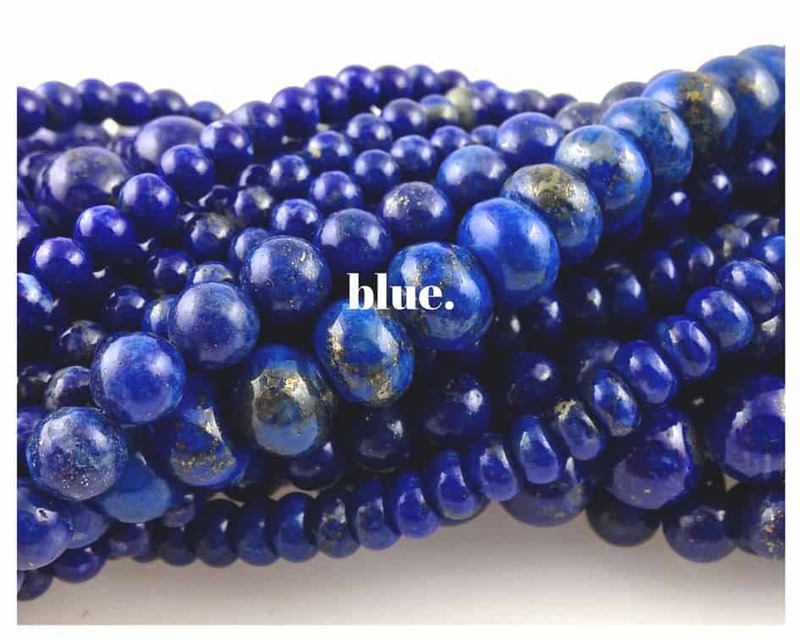 REMEMBER: Sunlight can damage about any stone used in beaded jewelry, especially Lapis Lazuli. Constant exposure to heat or sunlight can result in fading of its magnificent ultramarine blue. You have to keep it away from direct sunlight. So it is best to store them in a jewelry box that is opaque, darker in color and built well enough to keep light from going in. Because Lapis lazuli is a porous rock, make sure that your Lapis Lazuli is kept in a cool dry place. Do not store your jewelry box, which holds your lapis lazuli, in a place where it will get warm. Make sure that you have a lot of silica gel in these jewelry boxes as well. Silica bags will be able to keep your lapis moisture free for a while. Lapis lazuli was used to make dyes, especially a rich blue hue known as ultramarine. This paint was quite expensive, seeing as it was created using the finest stones. A lot of artists creating pictures of the Madonna used paint created from lapis lazuli. 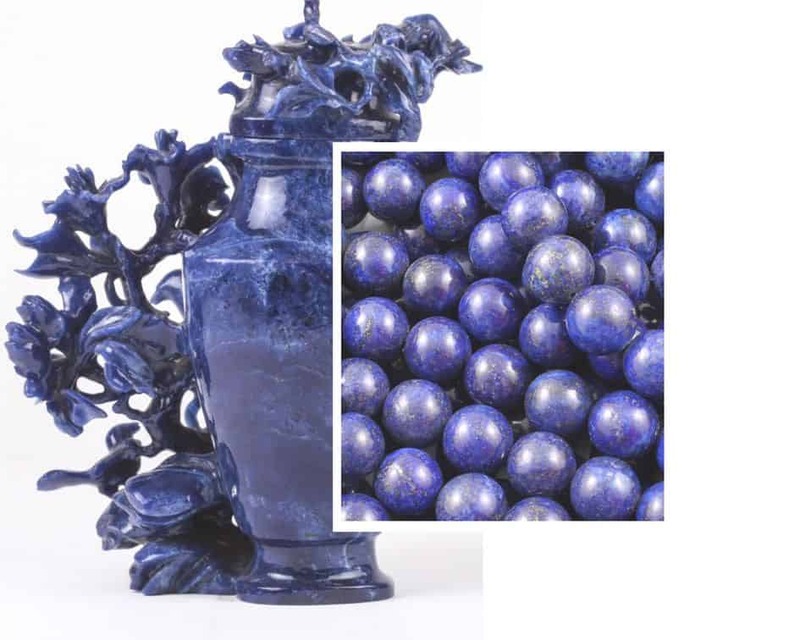 To learn more about it, check our Ultramarine Blue post. 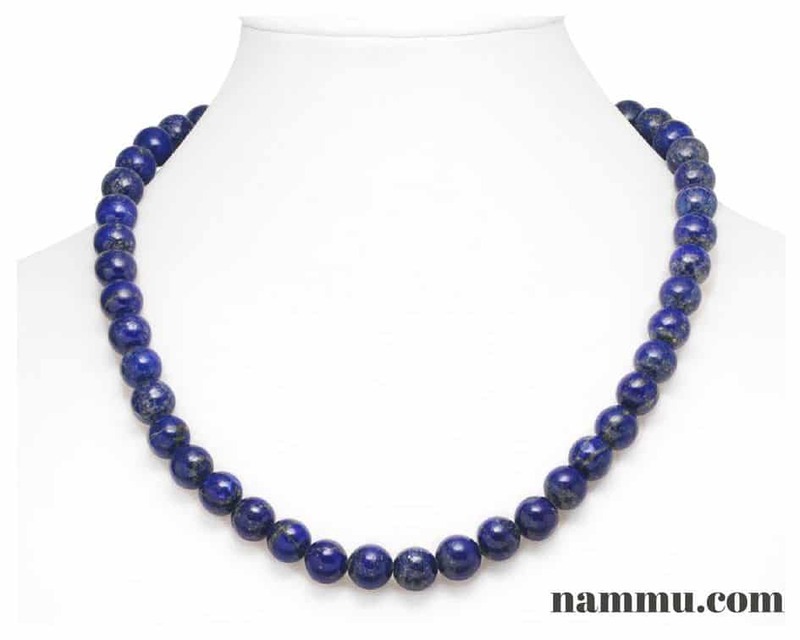 Lapis Lazuli jewelry in form of earring, rings, necklaces, and pendants are the most sought after. They sure do look magnificent. However, you must keep in mind that a Lapis Lazuli stone is more fragile than many other gemstones, so you must never sleep in your jewelry on in order to avoid any unnecessary pressure on the stone. It can chipped or broken if you drop it on to the floor. Therefore, always be seated and wear your jewelry with caution. Always remove your lapis jewelry when exercising or participating in any sport or athletic activity. Due to lapis soft structure, it is susceptible to strong pressure and high temperatures. REMEMBER: Always follow the golden rule of wearing jewels―’last to wear and first to remove‘. Remember to wear your outfit, complete your makeup routine, and apply your lotions and fragrance before you wear your jewelry. This ensures that the pieces do not come into contact with any chemicals. Also, while you’re wearing the stone, you must not let it come on contact with water to avoid any major wear and tear. Lapis lazuli was the favored gemstone among the ancient Egyptians, especially the royal classes, who wore it to ward off the evil eye. It was also coveted in Babylonia, Persia, and Rome as well. Besides their obvious use in jewelry, these stones were used for other decorative purposes, such as mosaics and floor tiles. While you’re wearing the stone, you must avoid letting it come in contact with daily use chemicals like surf and soap. Coming in contact with these chemicals runs the risk of the upper protective layer of Lapis Lazuli getting removed and this exposing the core of the stone. If your Lapis Lazuli does come in contact with these chemicals – make sure to dry it off as quickly as possible to avoid any permanent damaging effects. So, no hands washing in lapis lazuli rings! Preferably, reserve your lapis lazuli jewels for special occasions, since they are not built to withstand daily wear and tear. These stones are at a risk of damage with constant exposure to the elements. 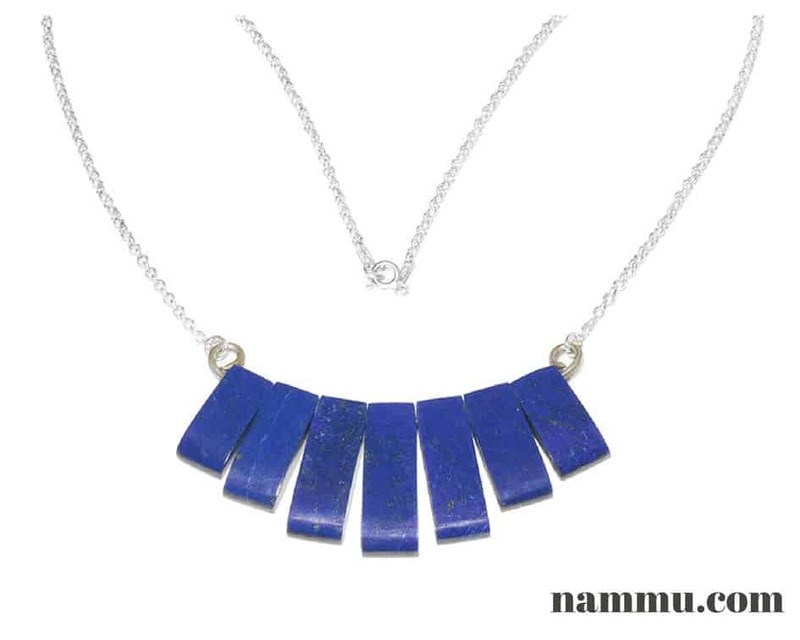 A Lapis Lazuli jewelry that has grown matt from having been worn too much can easily be re-polished at any time. In overall, there are a lot of opinions about polishing lapis lazuli. Some prefer to leave their gems unpolished. Some people say that to polish a lapis lazuli you have to use a jewelry grinder with a silicon carbide belt, using gentle, steady motions to polish the surface to add shine. Some people say that you can use Alumina to polish your stone (aka aluminum oxide or AlOx). There are suggestions to use chrome oxide for lapis lazuli polishing, but keep in mind that it is quite messy, so the green color of the chromium oxide is likely what you’ll find on your walls & clothes if you use it – that’s a vote in favor of alumina. 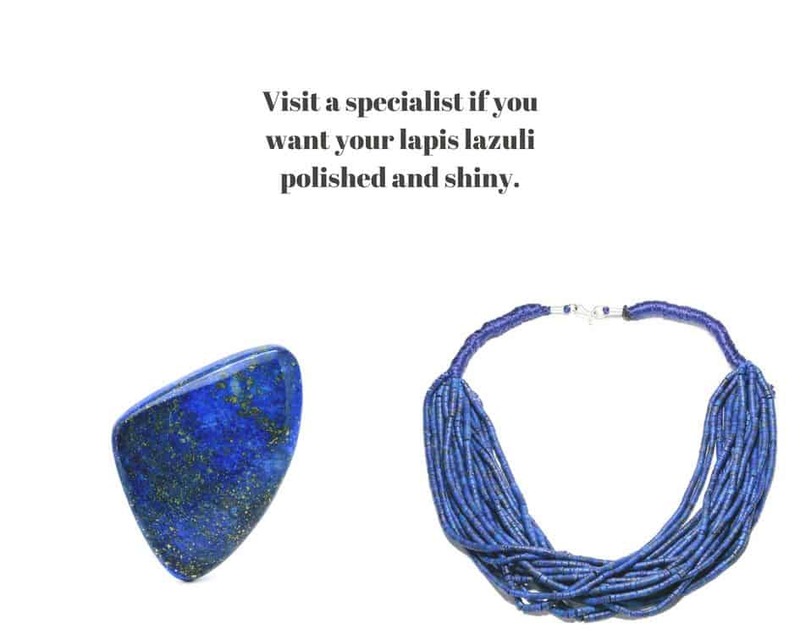 What we can say in this regard is to advise you to visit a specialist if you want your lapis lazuli polished and shiny. Polishing should be kept to a minimum, because not only can it be expensive, but it will also make your stone a bit smaller every time it is done. Make sure that it is done sparingly, as it can diminish the strength of your lapis stone. REMEMBER: Do not expect a hard glossy wet-looking polish on most Lapis Lazuli. The density of the stone varies greatly. Some polishes well, and some polishes spotty with a spongy appearance. It is not required to apply colorless wax or synthetic resin to the gem after polishing it, but it helps to protect it, as long as these substances are not mixed with any coloring agent. How To Clean Lapis Lazuli? Lapis Lazuli is a rare stone that is found in large amounts in only a few locations around the world. It has been considered a gem for thousands of years and must be cared for with delicately, particularly when cleaning it. So, the best advise from us for you is to take as a rule: After each wear, wipe your jewelry with a soft cotton cloth (preferably the one that came with the jewels) after you remove it. This action rids the piece of any oil residues from your skin, makeup, perfume, and other dirt. Lapis Lazuli is not a gem that should be heavily cleaned daily because of its delicate composition. However, it is still necessary to clean them after some time because things like sweat and oils do contaminate our beaded jewelry and could actually damage them. Based on our own experience as a jewelry shop we can propose you an only option that we find more or less suitable for cleaning lapis lazuli – mild soap cleaning. Warm, soapy water is the safest way to clean lapis lazuli. It’s best to test a small, inconspicuous area first, because some dye treatments are not stable. You should never put lapis lazuli in a chemical dip or ionic jewelry cleaner and it should always be protected from acidic substances. Avoid hot water at any cost. You can use cold water but the best is room temperature water. Lapis Lazuli cleaning in water should be done quickly because the gem should not stay wet for too long. Prolonged contact with water may dissolve and damage the calcite content. DO NOT use abrasive cloth when washing or wiping dry your Lapis Lazuli because it can scratch the stone. Forget about using scotch brite and tooth-brush because it will ruin your jewelry. Using a soft cloth like lint free or micro fiber optical lens cleaning cloth is recommended. The softer and smoother the cloth, the better. How to perform mild soap lapis lazuli cleaning? Fill a shallow bowl with room-temperature or lukewarm water mixed with a very mild soap or very diluted jewelry cleaner. The water used to clean lapis should not be acidic otherwise it will damage it. Do not use hot water. Preferably start cleaning a small, inconspicuous area because dye treatments are not stable. The dye used in some lapis can come off if it’s rubbed with acetone (nail polish remover) or denatured alcohol, so it’s sometimes sealed with wax or plastic. Wax sealers can deteriorate when they’re exposed to heat or solvents. 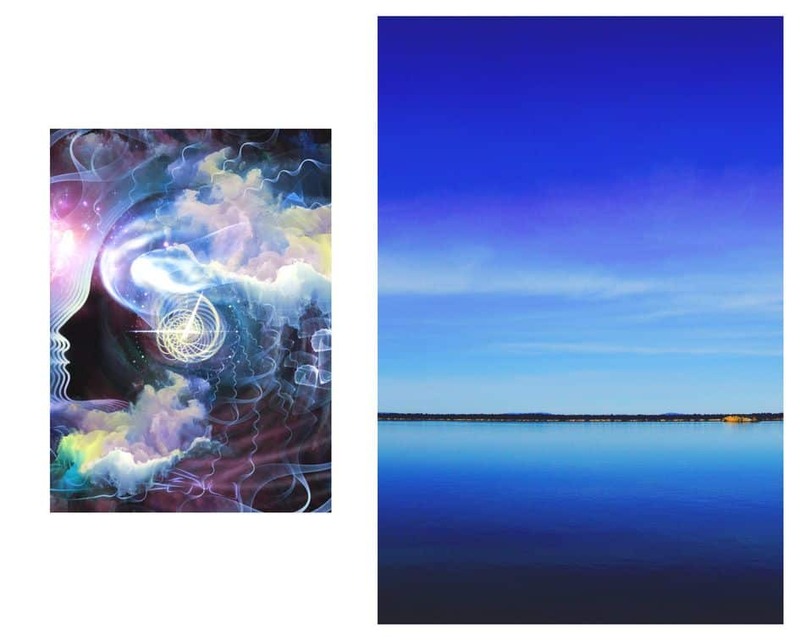 If you see that everything is fine with the area of first contact, place the lapis lazuli in the water briefly. And once again, prolonged contact with water may damage the calcite content. Use a soft smooth cloth such as microfiber (the softer and smoother, the better) to gently rub the lapis lazuli. Do not use an abrasive cloth, which can scratch and ruin the stone. Dry the lapis lazuli quickly and softly with an additional cloth. These days different chemicals like ammonia and ultrasonic cleaner are also used for cleaning gemstones, you must keep this fact in mind that these solutions can be good for some gemstones, but not for all especially for opaque gemstones like lapis lazuli. As it is said, all gemstones emit certain type of energy and the associated power of some gemstones is because of this very energy. However, sometimes dirt or other chemical deposits serve as a hurdle in the way of smooth release of this energy and thus it can spoil the associated powers of some gemstone. Lapis lazuli is considered quite effective to boost psychic abilities of a person and similarly it is said that this stone can bring peace, harmony and tranquility in the wearer’s life. There are also many other traits which are associated with the use of this stone, however, these powers can be utilized fully only if one takes proper care of this stone. 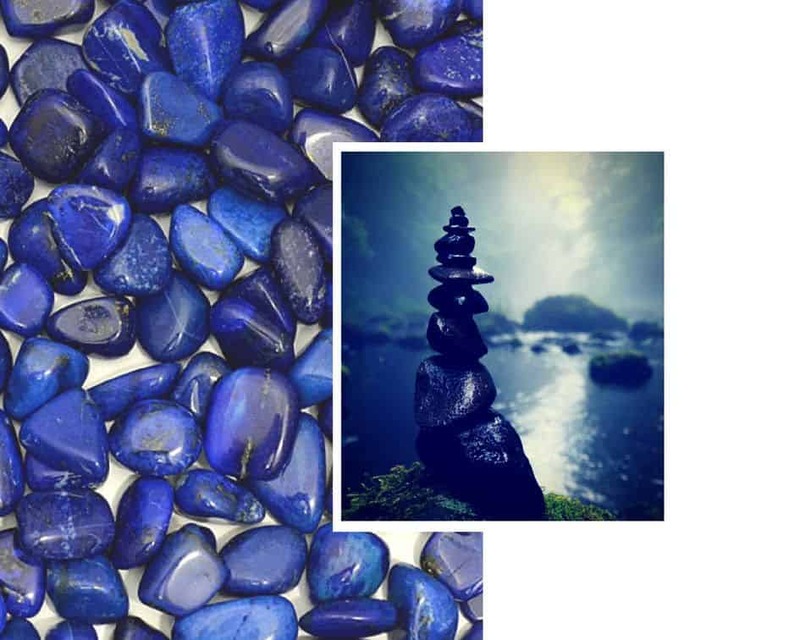 If you want to learn more about lapis lazuli healing properties, lapis lazuli in astrology, lapis lazuli chakra healing check our previous posts. So, knowing the fragile nature of a stone, how can you clean its power without causing damage? Typical ways to clean stones include water, sun, soil and salt, but you know none of these options are appropriate for lapis lazuli. You cannot expose it to the sun for prolonged periods because its color can fade. You cannot put you lapis lazuli jewelry into the water due to its porous nature. You cannot bury it in the ground again due to its porous nature and salt is not even up for discussion, when talking about lapis lazuli. So what to do? For many of us city dwelling is our only alternative… How are we to bury our stones or crystals in our cities? In this case, a large terracotta pot, organic potting soil and moss gathered from the forest can be used as an alternative. Place lapis lazuli on top. Salt was and has been prevalent in helping create minerals. The flow of underground streams, fresh water or springs help carry minerals (raw or liquid state) to a hole, pocket or cavity and over the centuries, this raw, liquid chemistry creates or turns into crystal formations. And again, depending on the chemical compound, different types of minerals can be created. However, we do not condone the use of a salted solution or getting salt any where near my minerals or crystals. As alternative, you could place your lapis lazuli jewelry in a small glass bowl and place that bowl in a larger one which is full of salt. The energy cleansing process will still work, but the stone won’t be harmed by the salt. Easy peasy lemon squeezy! Same thing can work with water. Just try to feel your stone and its needs. The harmful rays of the sun, not only weaken the minerals structure (much like the salt), it even can open small cracks and encourage pitting on the surface of the stone. Fading of the crystal will occur if left in direct sunlight for any length of time. 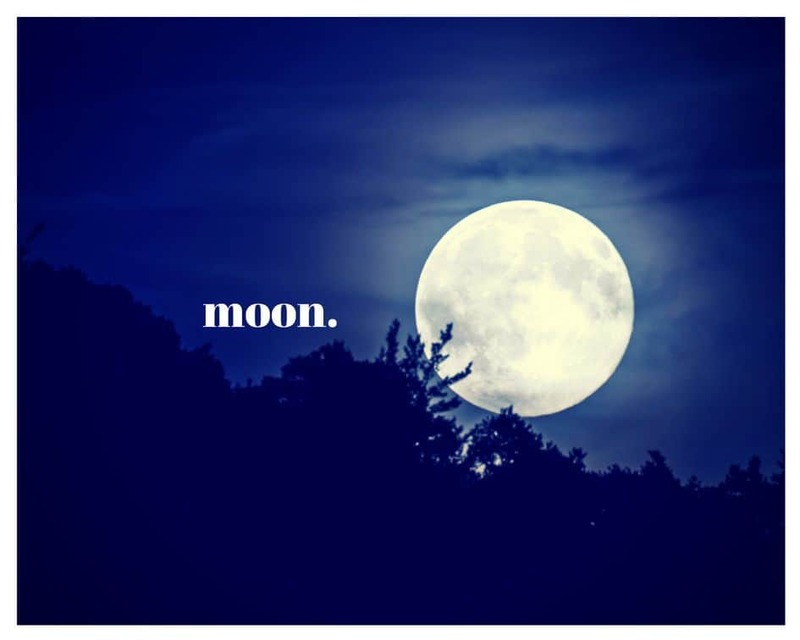 But nothing similar comes from a moonlight! Place your lapis lazuli somewhere under direct moonlight, just don’t forget to take it away when the sun comes up. 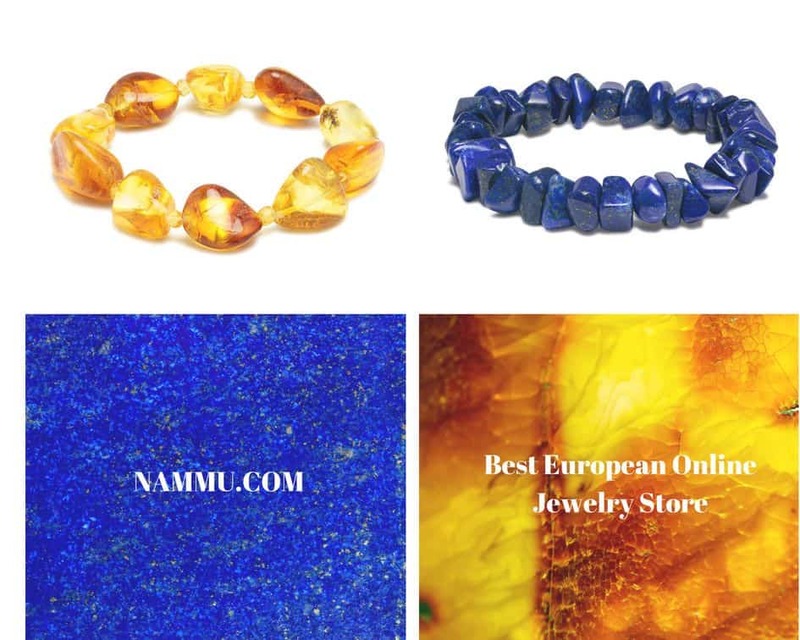 If you are considering buying new lapis lazuli or even amber jewelry, be sure to acquire it from Nammu.com where we place special attention to the care and shipping of your jewelry. You can always be sure that the piece you received is of the highest quality possible. Always remember that you should have a special care with Lapis Lazuli. Being a delicate stone, its more representative artifacts have endured harsh conditions so we could now miraculously enjoy their beauty. A lapis stone is only going to be as good as you keep it. And as long as you keep these safety tips in mind – it will always remain protected from the wear and tear of daily lives. How I wish I had read this before stupidly soaking my lapis lazuli pendant and ring, both set in silver, in Coca Cola overnight. I bought them in India twenty years ago and had let them get dirty looking, the silver at least. The lapis stones were still superb. Would a skillful jeweler be able to retrieve them at all from their rusty, dull surfaces now? I am heartbroken. Does anyone have any advice please? We are so sorry that this unfortunate situation happened to you and your beautiful lapis lazuli. We have asked some other experts for advise concerning your situation and as soon as we get their answers, we will contact you on your email, if you don’t mind and will also post an answer here. But for now, what we can advise to you, is to not try extract your lapis lazuli from its silver frame. Lapis lazuli is quite hard stone, but still influence of Coca Cola on it can be unpredictable as Cola itself is quite aggressive. What can have happened in your case is that Cola may have destructed the colorless wax or synthetic resin finish that sometimes are applied to lapis lazuli stones after polishing to protect it and make more shiny. So, usually there is no need for the wearer to worry. Should Lapis Lazuli grow matte from having been worn too much, it can easily be re-polished at any time and sealed anew. The skillful jeweler can do it without any problems. But when polishing this stone, he/she must handle it gently due to its modest hardness and not subject it to too much pressure. For now, we would strongly suggest you to not extract it from its inlay and wait for our experts’ replies. Also, when choosing a jeweler to work on your lapis lazuli, make sure that you have the best available expert in your area. Don’t worry. We are pretty sure that everything is fine with your lapis lazuli, but try nor to do nothing irreversible yet. We will be in touch.